This week’s article I thought I would talk about Canada and why it’s a great place to invest or to open up a business. With all the blood on the tracks in the great U.S. of A I thought I would brag a little about your neighbour to the north and discuss why Canada is doing well in spite of issues facing other countries throughout the world. Here are the top 8 reasons why it makes sense to invest in Canada. 1. First of all Canada has a people advantage. Canada is a nation of intelligent, educated workers, ranking #2 in the OECD in higher education achievement. 2. The next is the business environment advantage: The Economic Intelligence Unit has rated Canada the #1 place to do business in the G7 for the next five years. 4. This one could be debatable since there are some better tax advantages in other countries. Canada however offers businesses low tax rates, boasting the lowest payroll taxes among the G7 countries. 5. The NAFTA Advantage advantage gives investors access to more than 450 million consumers and a combined GDP of US$ 17.1 trillion (PPP basis). 6. If you are considering doing business in Asia the Asia-Pacific Gateway and Corridor Initiative (APGCI): takes advantage of Canada’s strategic location as the crossroads between the North American marketplace and the booming economies of Asia. 7. The transportation advantage gives Canada a sophisticated infrastructure and a highly developed transportation network. 8. Last of all the main reason we are all here in the first place is the life style advantage which gives Canada world-class universities, a universally acclaimed health care system, clean, friendly cities and spectacular scenery make Canada a great place to invest, work, live and raise a family. There you have it, a simple and effective reason to invest in Canada. If you are thinking of opening a business, looking for good investment or want to move to stable democracy Canada for my money is the place to start hands down. Hope this helps you think about great places to live and invest. 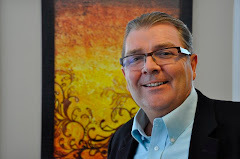 Kensel Tracy is The Marketing Coach with the Corporate Coachworkz Inc. a business coaching company located in Chelsea Quebec, and Ottawa Ontario. He is also the President of Business Over Breakfast Clubs opening up in every city throughout North America.